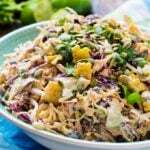 Mexican Coleslaw is loaded with South of the Border flavors and is perfect for any cookout or BBQ. It also pairs well with tacos, fajitas, and the like. 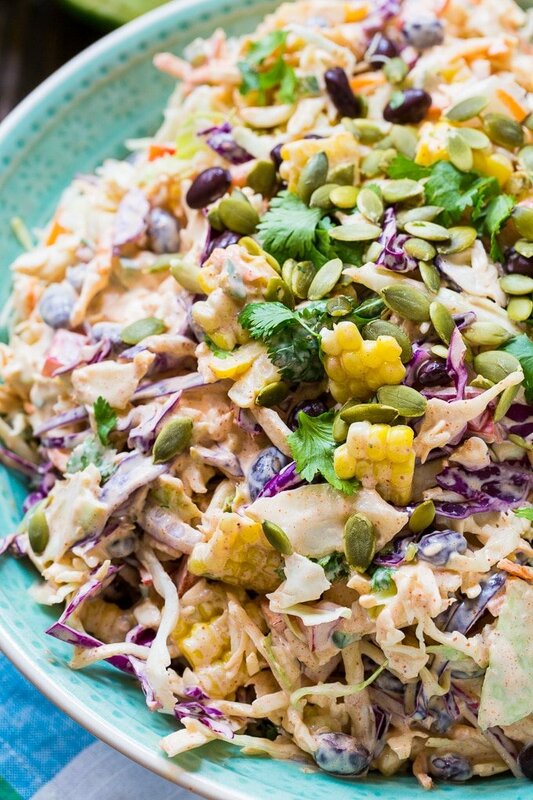 A cool, creamy, and crunchy coleslaw is hard to resist, but add some bold flavors and spice and you really have something that is crave-worthy. 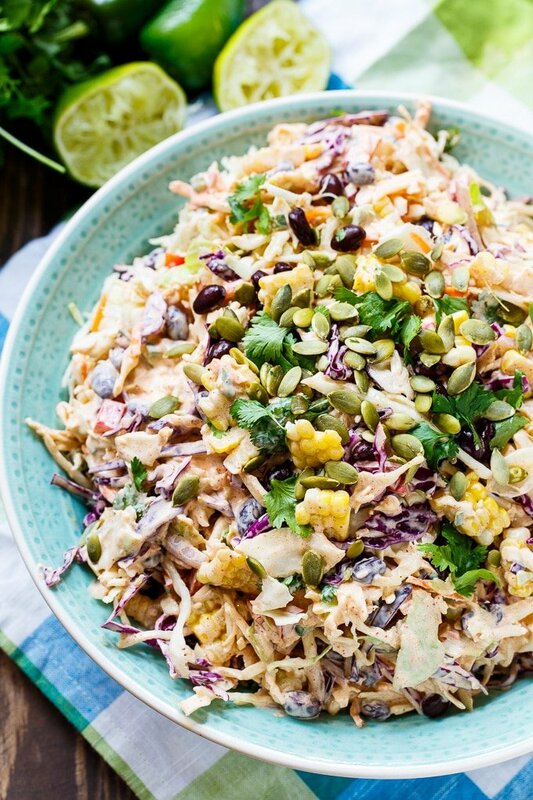 This fresh-tasting Mexican Coleslaw is full of bold flavors. I started with a bag of coleslaw mix for convenience, but you could most certainly shred your own cabbage. I added in some shredded red cabbage for some color. 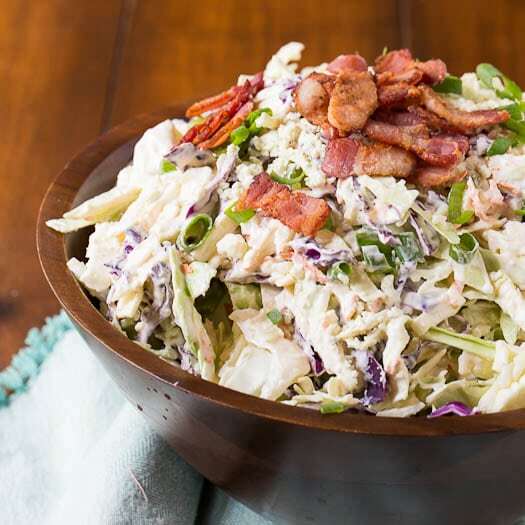 What really makes this coleslaw special is all the extra ingredients added in. It’s more like a salad than a typical coleslaw. Black beans, corn, red bell pepper, red onion, cilantro, and jalapenos add so much flavor and color. It really is a beautiful coleslaw! The creamy base of this Mexican Coleslaw is made from mayonnaise, sour cream, lime juice, and taco seasoning. The taco seasoning really adds some bold flavor and livens it up. Just before serving I sprinkle some pepitas on top for extra crunch. You could also use sunflower seed, or even almonds. 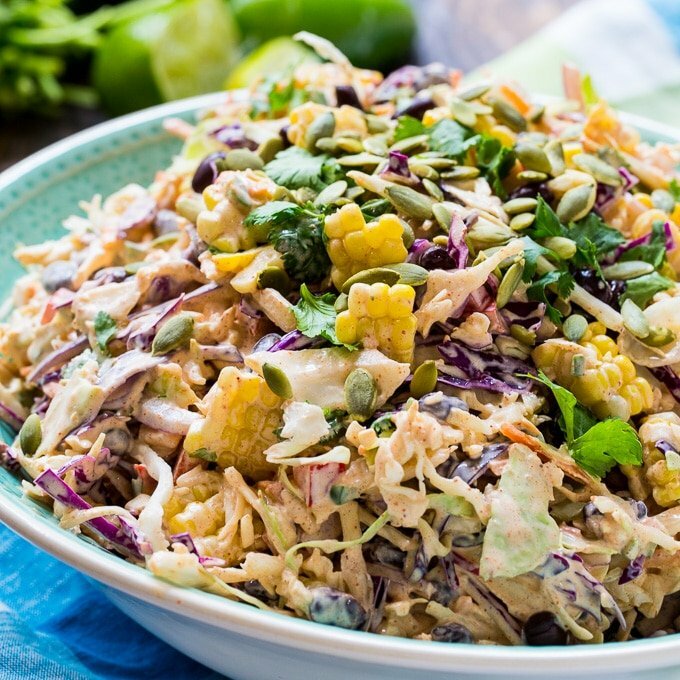 Mexican Coleslaw is a creamy coleslaw loaded with South of the Border flavors. Mix together mayonnaise, sour cream, lime juice, and taco seasoning in a small bowl. 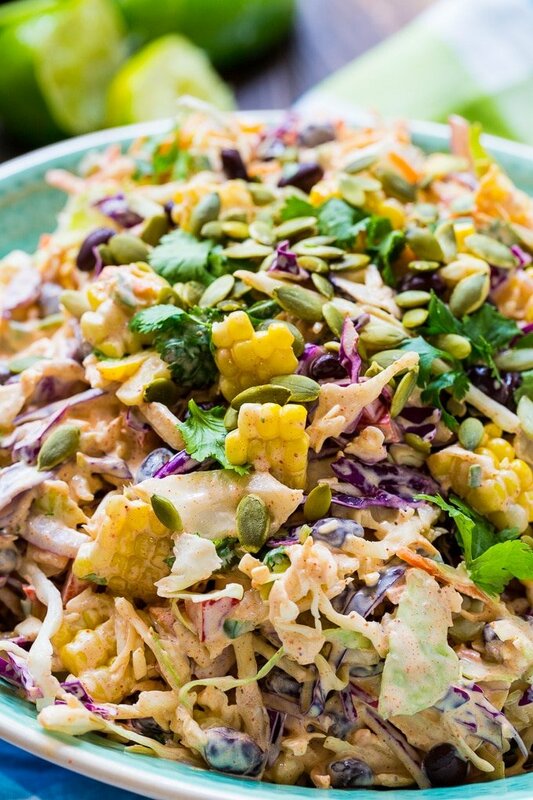 In a large bowl, combine cabbage mix, red cabbage, black beans, corn, red pepper, red onion, cilantro, and jalapeno. Add mayonnaise mixture and stir to combine. Sprinkle with pepitas just before serving. 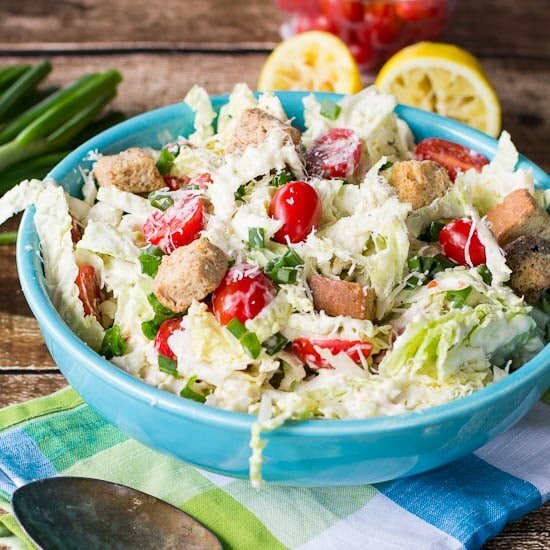 This entry was posted in Side Dishes and tagged coleslaw, Mexican. Bookmark the permalink. This is great! Had to make my own taco seasoning (just threw in some chile powder, garlic salt, cumin, coriander, paprika, & oregano) and I left out the beans and corn because we were having those in the enchiladas I was making. Kept everything else exactly as is. Huge hit! Thanks! How many people does the Mexican coleslaw serve? I would say 8-10 servings Anna. Lies! Three of ate it all. It was so yummy! Could make a healthy-ish with just this!